The clubface position can be altered at address and at impact in order to shape the direction of the ball for a golf shot. It can also be adjusted in its follow through position – after impact – and on the way to get there. These modifications affect what kind of spin will be delivered to the shot and are explained below. You can improve your odds of producing a ball that will spin left-to-right by thinking about your club’s finishing position at the follow through. Specifically, you’ll want to focus on the position of the clubface when the shaft is parallel to the ground during the follow through. In order to produce a left-to-right spin you’ll want to see your clubface open at impact. In order to maximize the odds of seeing such a position at impact you can already plan on how you want the club to be positioned during the follow through. 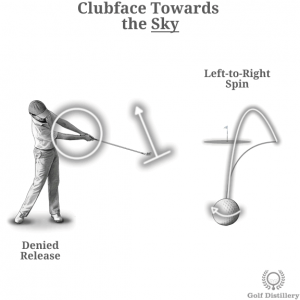 Specifically, you’ll want to see the clubface point towards the sky. 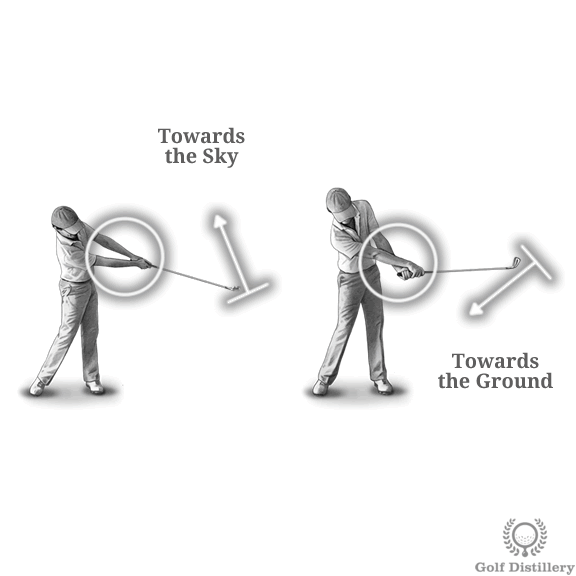 A swing that will produce such a follow through position will be one where the hands will not be allowed to release properly before, during, and after impact, i.e., they will not rotate as they normally would for a straight shot. And because they weren’t allowed to rotate fully, the club should be open at impact and will produce a left-to-right spin that is typical of slices and fades. You can also improve your odds of producing a ball that will spin right-to-left in a similar yet opposite fashion. Again, you’ll want to focus on reaching a specific finishing position during the follow through, when the shaft of the club is parallel to the ground. 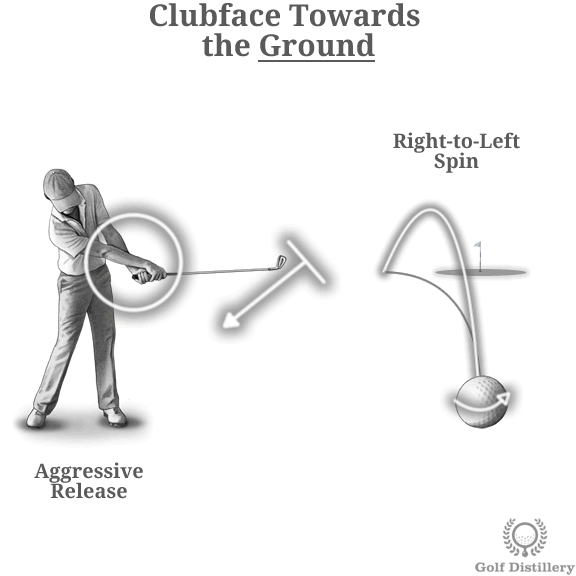 In this particular case, you’ll want to see the clubface pointing towards the ground, or at least it should want to come close to pointing that way. Such a finishing position will require a very aggressive release before, during, and after impact. And such a severe rotation of the wrists that is more pronounced than for a typical straight shot will result in the sought after right-to-left spin.